Good day, ladies and gentlemen. Welcome to the NTRA Countdown to the Breeders’ Cup World Championship Conference Call. At this time all participants are in a listen-only mode. Following the presentation, we will conduct a question-and-answer session. At that time participants are asked to press star, one to register for a question. As a reminder, this conference is being recorded. It is now my pleasure to introduce your host, Mr. Jim Mulvihill. Please go ahead, sir. Thanks, Michelle. 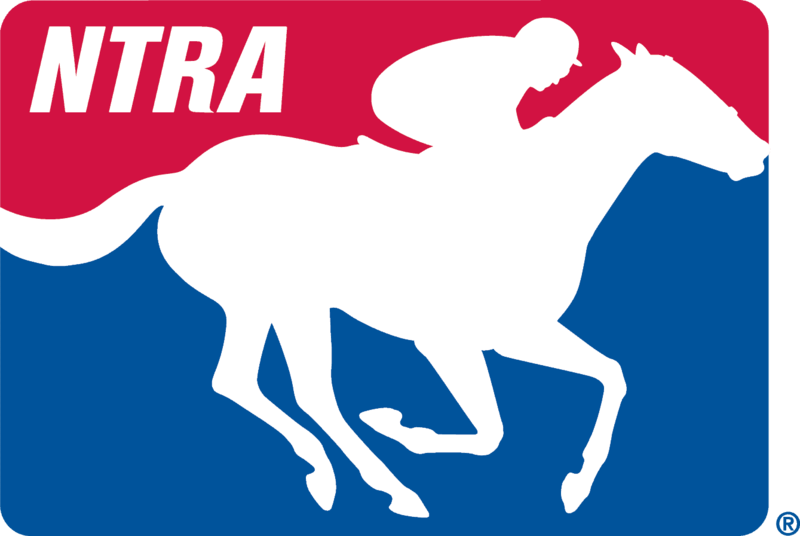 Welcome everyone to this week’s NTRA National Media Teleconference. This is our final NTRA call of the year. Today we’re previewing another great round of Breeders’ Cup preps in Kentucky and New York. The Keeneland Fall Meet opens Friday here in Lexington and this week they’re hosting nine graded stakes, all of which have Breeders’ Cup implications. At Belmont Park, it’s Super Saturday 2 with six graded stakes led by one of America’s greatest races, The Million Dollar Jockey Club Gold Cup. According to our friends at the Breeders’ Cup, three of those races will be part of a live NBC Sports broadcast Saturday. That will be the Jockey Club Gold Cup and from Keeneland the Shadwell Turf Mile and the Claiborne Breeders’ Futurity. That will all be packed into one hour 5 PM to 6 PM Eastern time on the NBC network. Twelve of the big races this weekend are Breeders’ Cup Challenge ‘Win and You’re In’ propositions. Those carry automatic berths and paid entry fees to the Breeders’ Cup on November 4 and 5 at Santa Anita. All of our guests on today’s call have several entrants in this weekend’s Breeders’ Cup Challenge races so we’ve got a ton of ground to cover, and as usual I will get the conversation started with one or two basic questions but then I will just get out of the way and leave it to you all to ask whatever questions you want, so start thinking about those now. Later on, we’ll be joined by Brad Cox and Kiaran McLaughlin, but first it’s my pleasure to welcome in trainer Mark Casse. Mark’s a newly inducted member of the Canadian Racing Hall of Fame and an eight-time Sovereign Award Winner as Canada’s Outstanding Trainer. He’s trained several Canadian champions including a Queen’s Plate winner in Lexi Lou, but in the last few years he’s become one of the U.S.’s elite trainers as well with 36 graded stakes wins and in 2015 and 2016, 11 of them in Grade I events including two Breeders’ Cup races last October at Keeneland. Of course a good chunk of Casse’s graded stakes wins come from the incredible mare Tepin, last year’s Champion Turf Female and Breeders’ Cup Mile winner and we’re going to find out all about Tepin and how she’s doing right now. Mark Casse, it’s Jim Mulvihill at the NTRA in Lexington. Thanks for joining us. Thanks for having me, Jim. It’s our pleasure. Always good to talk to you. We’re going to start with Tepin of course. She’s set to be entered in the First Lady, which is a race she won easily last year, but the Shadwell could have been an option too. So if you would, just tell us a little bit about choosing the First Lady and plotting her schedule from Ascot in the spring to the Breeders’ Cup coming up here in five weeks. We looked at both options and to be honest with you, we waited until Sunday to decide for sure. We wanted to kind of see what California Chrome did on Saturday. Our goal, our ultimate goal I guess you could say would be for her to be Horse of the Year. We realize that California Chrome is going to be very tough to beat, and again, he was outstanding again this weekend. After that, we sat back and we said, “Okay, what’s our next goal?” Our next goal would be to win the Breeders’ Cup again this year. So we decided, “Well, what’s the best way to get to the Breeders’ Cup?” and our feeling was it would be better to run her against fillies and hopefully get a little easier race this time out and it should set her up nicer for the Breeders’ Cup. That being said, I’m not saying that the fillies are easy to beat either. I mean you know there’s some really good fillies but we just thought it would be a little easier. Mark, you mentioned the Horse of the Year title and watching California Chrome last weekend. Now can you just talk a little bit more about what you think would have to happen for that path to be available. I mean I think California Chrome would obviously have to finish off the board in the Classic but what else do you think needs to happen for that to be a possibility? I think we would have to win the First Lady impressively and then win the Breeders’ Cup also and then again California Chrome would have to get beat, and probably not just beat but beat fairly significantly. That may not even be enough to make this Horse of the Year, but to me that’s what’s got to happen. Very good. Well, can’t wait to see how this all unfolds over the next several weeks. We’ve got a lot of questions from the media, I’m sure. Not just about Tepin but we’ve got some other stable stars to talk about: Catch a Glimpse, Victory To Victory, and the other runners this weekend. Hang on and I’ll have Michelle check with the media and see what questions they have. Thank you. If you would like to ask a question, please signal by pressing the star key followed by the digit one on your telephone keypad. If you are using a speakerphone, please make sure your mute function is turned off to allow your signal to reach our equipment. If you have signaled for a question prior to hearing these instructions on today’s call, please repeat the process now by pressing star, one again to ensure our equipment has captured your signal. We’ll pause for just a moment to allow everyone the opportunity to signal for questions. Brian Zipse: Mark, I just have a simple question and I know it’s far from over but the amazing career of Tepin carries on. I just wanted to know out of all her big victories, which is the one that meant the most to you so far. Well, Brian, that would be tough but probably Royal Ascot, just simply because there’s a lot of horses that have won the Breeders’ Cup but to be able to go over to England and kind of beat them at their own game and being able to overcome so many adversities it just tells you how truly great she is. It would have to be the Queen Anne. What flicked the switch for Tepin; 11 out of 13, 8 in a row. What happened? I mean how did she go from a horse to a superhorse? What happened? I think it’s a combination of things, Danny. I’m a big, big believer in confidence and I think that Tepin was always a good horse but we had some issues along the way. But being able to get her into a rhythm or a set of races, she enjoys running and she’s not the easiest to train simply because she doesn’t put as much effort into her training as some horses do. She benefits by running and I think as she’s gotten older she is more versatile too, so she allows Julian the option of putting her in the race wherever she needs to be, and she’s gotten much more confident. I yesterday was watching a few of her races on the beginning of her streak and she won those races but she was nowhere the powerhouse she is now. I can even see her now where she almost is making the lead a little bit and not going on—even in the Woodbine Mile, she only won by three-quarters of a length but if you watched galloping out she never let anybody get by. She’s starting to get where she plays a little bit with the competition, which is a bit of a concern. Talk for a minute about Norm Casse, your son. I know he handles a lot of the stuff at Churchill, took Noble Bird to victory last Saturday. What’s it like having Norm onboard not only as an assistant but as a son? I mean it’s everything. It’s one thing to be able to win these big races and it’s exciting but to be able to do it with your son and your family, there’s nothing like it. We make a good team. At some point in time probably Norman is going to go out on his own and I’m sure he’s going to do extremely well, but for now it’s great. It just means so much more when you win when your family is all involved. Mark, I was going to ask you what’s changed between 2014 and 2015 but obviously you just kind of answered that. Now I’m going to ask how does a horse, any horse that can do this, what about her can keep her so on top of her game through such a long period of time? I mean basically, except for those two narrow losses, other than that she would have won 13 in a row. What makes a horse be able to keep that superiority for such a long period of time? It’s a good question and I’ve often said my opinion, Larry, that good horses win when everything goes their way; great horses can win when difficulties occur. So, yes, she’s won those races and she’s been so consistent. Has she always given us her A game? Probably not but she’s so talented that even when she doesn’t give you her A+ game she can win. A lot of that I think—a lot of the credit there goes to Norman and our team. The one thing I’m really proud of, I’m proud of her. I’m proud of Catch a Glimpse. Catch a Glimpse is another filly that she did get beat her last start but she’s come to play every time she comes over there. It’s confidence. It’s having great horses and having a great team. I think it maybe is a little bit of all those things. Mark, your mare has beaten colts, just beat the best colts in the world, theoretically, in New York. She did it last year in the Breeders’ Cup. Rachel Alexandra, (Inaudible), Zenyatta. There’s a litany. Do we place too much emphasis in America on keeping colts and fillies separated? I think so. I think so. You know, Tom, whenever you do, especially with the social media now and everything, whenever you go outside the box you better be prepared to take some criticism if it doesn’t work, and probably more so than ever now with all the social media and everything. You better be prepared to take a lot of heat if it doesn’t work and that probably keeps some owners and trainers from doing it. The follow-up to that then would be is there a physical – I mean I know there’s a physical difference between colts and fillies but I mean as far as racing goes. Is there any advantage that colts have over fillies, especially as they get older? Well, I do believe for the most part that horses are similar to people where at a younger age a young girl for the most part – we see it in sports in grade school – where a young girl will outperform the boys more often than not and as they get older it gets a little more difficult and there may be something to say about that also with horses. I just don’t know. I think good horses can beat other good horses. Catch a Glimpse is another one. She’s went out and right now I think those are the—the three-year-old fillies are better than the three-year-old colts on the turf at this point in time. At least in the US, yes. All right, Mark. I’ve just got a few follow-ups for you. I’m curious if you could just talk about the celebrity of Tepin. Last year we saw how accessible American Pharaoh was and what that meant for his popularity, and Tepin is along those same lines as far as how accessible you and Norm have made her around the barn. She’s got not only a million fans on social media but she’s got a baby, a human child named for her out in California. I don’t know if American Pharaoh has got that. Yes, exactly. Is that a conscious decision to make her so available and accessible to the public, and what do you think of her celebrity status? You know, Jim, we’re just so excited to have her that we want to share her with the world and I think you’ve seen that not just with us but with Mr. Masterson. I mean that’s why we went to England. That’s why we went to Toronto. We’re just blessed to have her. We’re excited to have her and we want to share her with the world. It’s funny, I think one of the problems with getting her back and her being—she was fairly tired after the Woodbine Mile. I think she maybe ate too many mints in between the Royal Ascot race and Woodbine. I mean she’s had more visitors. She probably would have on a given day at Saratoga probably 15 or 20 visitors, and Norman said when she got to Toronto that he had never seen or been part of anything like the media coverage for her. He said, “I don’t know if it made her tired,” but it got him tired. In England, it was a little different. It was a little different because you’re kind of out in the—everything is so separated so we were an hour away from Ascot and of course after the race there was a huge media blitz but before there wasn’t a whole lot of one. Interesting. Well, we loved seeing her so accessible to everybody and it’s really great to have another superstar in a year of superstars, for sure. Now, I don’t want to let you go without talking about the two-year-old’s this weekend. You know, looking ahead, if some of these at Keeneland run well we would hope to maybe see these in the Breeders’ Cup Juvenile and the Juvenile Turf. If you could, just give us some thoughts on—let’s start with Classic Empire and getting another chance after a poor start at Saratoga. That was amazing, you know. I’m normally—I always know that … I’m never overconfident because I just know there’s so many things that can happen, but I was very, very confident in Classic Empire in the Hopeful. I didn’t think there was any way he would get beat, and then of course for him to pull what he pulled. Since then, we’ve added blinkers. He’s breezed out of the gate a few times. He has trained as good as a horse can train, so hopefully he shows up with his A game, he runs a big race. We still have high hopes for him and we hope to make the Breeders’ Cup with him. So he’s one. Ancient Warfare as well in the same race. We’ve got Ancient Warfare. He’ll need to pop up. I’m still baffled why he didn’t run better. The horse we’re really excited about—now, she doesn’t run this weekend but she runs next weekend, is La Coronel, a filly that broke her maiden on the turf at Saratoga that beat Chad’s filly that won the Miss Grillo this week. We think she’s a superstar. Our feeling is that she’s the next Catch a Glimpse. In fact, when Florent came back after she broke her maiden, that’s what he said. He said, “We have another Catch a Glimpse.” Hopefully that all works out well. Yes, hopefully so. That would be wonderful. Well, this is great information, Mark. We really appreciate your time today. Good luck this weekend and beyond and we’ll look forward to seeing you out in California for the Breeders’ Cup. Thanks for having me, Jim. Have a good day. You’ve got it. You too. Mark Casse with a ton of great information, especially telling us that Classic Empire has trained as good as a horse can train going into Keeneland this weekend. Mark that down in your notebook for this coming weekend. Now we’re going to move on to our next guest and that’s trainer Brad Cox. Brad’s a 36-year-old Louisville native and he’s in the midst of the best year of his career. He’s got 110 wins to date, graded stakes wins with four different horses, and we’ve got him down as probable in five of the Keeneland stakes this weekend. Now let’s check in with Brad Cox. Brad Cox, it’s Jim Mulvihill in Lexington. You with us? Yes sir, Jim. How are you doing? I’m doing great. Thanks for joining us. So I just want to make sure that we’ve got everyone covered for this weekend because you’re basically emptying the barn it seems. You’ve got Benner Island in the Alcibiades; Cash Control in the First Lady; Spelling Again in the Thoroughbred Club of America; Almasty in the Woodford and Royal By Nature in the Bourbon. As far as stakes horses go, is that everyone? That’s it at Keeneland and we have Green Mask in the Belmont Invitational, a sprint invitational on the turf at Belmont on Saturday. They’ll all be in (inaudible). Very good, very good. I’m glad to hear everyone is still expected to enter. Let me start with Cash Control then since we just spoke with Mark Casse. You’re going to face one of the best in the world in Tepin. I’m sure you’re in it to win it, but being Grade I placed at Keeneland isn’t bad either. Just tell me what your hopes and expectations for Cash Control are in this spot this weekend. She faced Tepin once in the spring and ran a great, really good—it was a really good effort. She was third behind Tepin and the expectations are I guess maybe to run third, second or third. We know that that mare is one of the top, well probably the top grass mare in the country, especially at a mile—not the country but the world, but it would be big for this mare to get a Grade I place so we’re going to take a shot and see what happens. But she’s really, really doing well. She’s come out of her race at Kentucky Downs. She’s been very sound all year. All last year and this year she’s trained very well and she looks great. She’ll run very well. She’ll make a good account of herself on Saturday. Excellent. You know on these calls we often have folks from the mainstream media who normally aren’t covering racing day in and day out. Can you just explain for the benefit of those folks why would you enter a race where you’re up against one of the best in the world? What does that mean to be Grade I placed? What does that mean for the mare and her future? It would be big for her as she retires and becomes (inaudible). If her offspring was offered at public auction it would enhance their value and enhance her value if she was ever sold at public auction as a broodmare prospect or in-foal or whatever. The Grade I placing, which she does not have—she’s a graded stake winner which means a lot but to become Grade I place would actually increase her value as a brood mare. You’ve got to, you take a shot. Absolutely. You can’t duck a spot just because of one horse, as they always say, right? That’s exactly right. Anything can happen. Yes. All right, I’ve got questions about some of your other starters this weekend but I’m also going to let the media go first and see if they have anything for you. Brad, in my travels this spring one of the best looking horses I saw both at Oaklawn Park and then here at Churchill Downs was Dazzling Gem. I know not everything worked out quite as planned during the spring but I just wondered what’s his status? How’s he doing? When can we expect to see him back at the races? He’s doing great. He breezed on Saturday a half in 48.3. He’s probably ahead of schedule. We’re trying to kind of have an end of November targeted for a return race and he’s probably a little bit ahead of schedule. All of that depends on when the proper race comes up too. But he’s back in training. We just gave him a little break. We kind of squeezed on him a good bit in the spring with shifting from Louisiana Derby then back in three weeks to the Arkansas Derby and then kind of training up to the Kentucky Derby as if we were going to get in. After the Sir Barton we just decided to give him a little break and get him ready for a late three-year-old and four-year-old campaign. He’s doing great. He’s doing very well right now. What do you expect? Some sort of conditions allowance race before the year’s out at Churchill Downs? Yes. Second level allowance would probably be the ideal spot, a mile, mile and a sixteenth, something like that on the dirt. So yes, that’s probably what we’re looking at, something like that right now. And we’ll see him next year? Oh yes, I hope so. Yes, that’s the plan. We’re trying to get him ready for a big Oaklawn campaign. They’re going to have some nice handicap races that hopefully he’ll fit very well in. (Inaudible). Stuff like that. Thank you. Dale Romans says young horses always bring excitement to the barn. Is that the case of Benner Island and Royal By Nature? With these two pretty good looking horses, are you pretty high on them? Oh yes, that’s a very true statement. Young horses there’s a lot of what if’s and expectations and they can—we obviously want them to take it to the next level. As trainers we just prepare them the best we can and try to get the most out of them. We hope for big and better things for all the young horses down the road. Both of those colts and that filly, obviously the colts, he does his running on the grass and the filly is—we’re fighting to get the filly Benner Island around two turns. She’s (inaudible) Spacey Stacy and we think she’ll be a little better going around two turns, and we don’t think that that was her preferred surface at all last time at Arlington. We had a couple of options as far as races and we just thought that that was probably the best distance for her at the time going from the five and a half to the seven-eighths. The distance wasn’t an issue but she had a little bit of traffic trouble at the top lane. Nothing—I don’t think it would have made the difference in winning or losing but the jockey, Julio Felix, did a great job riding her and he come back and he said he didn’t really think she cared for the footing, the Polytrack. She had never been on it with us. We obviously kept her on dirt breezing and racing and everything, so we’re excited about getting her back on the dirt and we think she’s got big upside. Maybe a little bit of a measuring stick this weekend for her, and if she shows you what you want is she Breeders’ Cup? Yes, absolutely. I mean if she can compete with those horses and if she can—if she gets the job done you obviously have to look at the Breeders’ Cup if she comes out of it in good order. But, you know, one step at a time and we’re just preparing for Saturday and we’ll—I’m sorry, for Friday with her and we’ll just see where she takes us. Last one for me. Spelling Again, what do you think her best distance is? I know she’s run a mile, seven furlongs, six furlongs. What do you think her best distance is? Probably a one-turn mile. She’s a tough one to find races for. We’ve had a lot of trouble trying to find the right race for her. She ran a great race at Gulfstream going seven-eighths. She ran a good race at Belmont in the spring, a one-turn mile. We’re going to put some blinkers on her. We haven’t entered her yet but we’re going to put some blinkers on her. She’s a filly that is just seems like she’s a little bit of a tough filly to train. She, in her races it seems like to me whenever she’s run really well she just has a clear trip and she’s kind of on the outside of horses and stuff. So we’re going to put some blinkers. I mean we’re kind of hoping we draw an outside post. The race at Churchill the last time out, we didn’t like the—I didn’t like the one-hole with her. It still looked like she could maybe get it done. We asked Luis to kind of shove her out of there and put her up in the race and she didn’t want any part of it. Run fifth beaten four lengths and really didn’t even try that day so if she comes out of it in good shape, like I said we’re going to—we’ve been training with blinkers and stuff and she seems to accept it, accept training in them, so we’re going to try to run her in them and just kind of see if it helps or not. She’s a tough filly to deal with. She always has been and I do think seven-eighths or probably a one-turn mile is probably her thing. Well, we did get to hear about a few of those horses coming up this weekend, but let’s maybe talk a little bit more about Royal By Nature, if you could. A stakes winner at LAD but obviously taking a big step up at Keeneland into a graded stakes, so just give us a little more thoughts on him. We like him. He didn’t show a ton of—I don’t know. It’s like a light bulb just had not went off with him when we run him at Indiana because we thought about taking him to New York to run him and he just kind of seemed just very immature mentally. Physically he’s mature; he’s a big, beautiful horse but mentally he seemed just a little behind. We felt like we had him fit and he was ready to run. I talked with Sheikh Abdullah Saaed Almaddah and just told him, I said, you know, “Indiana, it’s not”—I don’t mean to label it but it’s not top tier. It’s not Saratoga Racing. (Inaudible) be a good spot to get a race in him and it was. He did it the right way and then after that I thought the next spot—obviously we need to face winners, we had to face winners and there’s no allowance race going to go. We could have looked to Kentucky Downs but he’s not a Kentucky-bred; he’s an Irish-bred so we wouldn’t have run for all the money at Kentucky Downs so we decided to go to Louisiana Downs with him. We won the race last year with Nokomo (phon) and Uncle Brennie so we know a little bit about the race. He run very, very well that day. We were very pleased with him, and once again, I’ll be honest, he kind of surprised me again. He just—from the way he was training, very immature. But since the race he’s actually had two works that have been very, very nice on the dirt, so he actually—it seems like he’s moved forward big time since the Sunday Silence and he’s going to have to obviously with the jump in class. I really do think he’s going to run well on Sunday. Very good, and if I could just follow-up, I curious because not only Royal By Nature but Benner Island also broke her maiden at Indiana. So a little bit more about just starting off a young horse at those B level tracks. Don’t mean that in a derogatory way, but, you know, a lot was made this summer about not just Dale Romans but increasingly more trainers starting off at Ellis over the summer rather than tackling Saratoga and what that can mean for their future, giving them a little bit easier beginning as a juvenile. Right. Same thing with Benner Island. We actually had her in at Ellis Park and she drew down toward the inside and it was really, really hot that weekend and we had her stabled at Keeneland and we just didn’t want to ship her for three-and-a-half hours, drew down on the inside so we thought we’d scratch her and give her another week or two and look for another race. She was slated to start at Ellis but like I said, with the post and the heat and everything we backed off and just gave her a couple of more weeks. She drew into the Indiana race, and she did it the right way going to five-and-a-half. We knew she was a filly that wanted more ground but she set in behind horses. Robby Albarado went up to ride her. He liked her. He’d been on her in the mornings at Keeneland this past summer, and liked her. He said he wanted to ride her for Ellis or Indiana, and he did a good job. He put her in behind horses and split horses and did it the right way. He did a great job on her. A lot of big chances for you this weekend, but these are some tough spots, so not to put you on the spot, but who’s your most likely winner here? Hmm, the most likely winner? You know, let me think here. I’ll tell you Almasty went really well, the one we didn’t talk about at all. Yes, and he’s had some huge races in the past year. The stake at Churchill that he won last fall was very impressive. Yes. Almasty is doing very—we’re really pleased with him. He put in a big work at Churchill on the dirt this weekend. We’re going to enter him for, I believe it’s the Woodford, going five-and-a-half. On the turf, yes, the turf sprint. He’s doing great. It wouldn’t shock me if he won—he’s really doing well—with not knowing the post positions and who all is in the race quite yet, but I’m really excited about him as far as one that can get the job done. We don’t run horses if they’re not doing well, especially in graded stakes. And Green Mask in New York, he’s really doing well. Johnny Velazquez rode him the last two times and the first time he rode him, he’s a very, very tricky horse to ride. I think it was a learning experience for Johnny as far as getting to know him, and then come back and he beat lesser horses in an allowance race at Belmont a few weeks ago. I think he’s set up for a big race Saturday at Belmont as well. I see you won a lot of—I’m based in New York. I see you do actually very good work here with your horses in New York. Are you primarily based in Churchill or do you split your time evenly between the two tracks? I was just curious. No. Home base is Churchill and I guess we’d say Kentucky is home base. We have several horses at Keeneland and Churchill and then we have a string at Belmont. I tr to come up every few weeks. I haven’t been able to make it up this meet because of the September Sale but I was—make it to Saratoga two or three days a week probably every 10 days and then to Belmont. I have yet to make it up this fall but I’ll probably be up there for the 15th. We’re going to run Believe in Bertie and possibly Sassy Little Lila in the Pebbles. But yes, we’re trying to have a little more of a presence in New York. We really like it. I have an assistant, Britney Trimble (phon) that runs the show. She’s the assistant there and does an excellent job. She’s been with me two-and-a-half years and ever since I’ve had horses in New York she’s just pretty much run the show there. I’m in and out but most of my time is here in Kentucky. Can you just tell me who you were an assistant trainer for and what your background—who you worked for basically before you went out on your own? Okay. Yes, I spent four-and-a-half, almost five years with Dallas Stewart and I went out on my own the end of 2004, like December of 2004. I was with Dallas for right at five years. Before that I worked for Jimmy Baker for a few years and a bunch of guys, getting through high school and all that stuff, just some guys here and there like Jinks Fires, Frankie Brothers, Burt Kessinger. They taught you well. You have a very impressive start to your career. Last quick question one Benner Island, being by Speightstown and with (inaudible) up on the dam side of her pedigree, I gather you’re—will you be pointing her towards some turf races at some point? Is that the plan? It’s possible. Mr. Anthony likes to run on the dirt. It’s crossed our mind that she may like the turf but with her—actually, I was saying earlier, she doesn’t really—didn’t act like she cared much for the Polytrack so sometimes if horses don’t care for Polytracks they don’t care for the turf. I don’t really see anything in the near future as far as the grass but maybe at some point down the road later in her three-year-old year or something we could maybe look at the grass with her. All right, Brad. Thanks so much again for your time today. All right, sounds good. Talk to you soon. Bye. All right. Brad Cox, one of the top 20 trainers in America right now by wins, 110 already this year. That brings us to our final guest. He’s a regular on these calls, trainer Kiaran McLaughlin. This weekend he’s got big chances in the Jockey Club Gold Cup, The Flower Bowl and the Kelso. But before we get to those you know we also have to talk about Frosted, who you could still argue put forth the greatest single effort of the year despite what we’ve seen from California Chrome and is a leading contender for the Breeders’ Cup regardless of which race he runs in. Kiaran, Jim Mulvihill here. Thanks for joining us. We will most certainly talk about your chances in all the races on Super Saturday this weekend, but I’m sure you understand that everyone is always eager for our Frosted update. He’s been back at the Greentree Training Center since the Woodward. Can you just tell us how he’s doing? He’s doing great. He’s scheduled to work tomorrow about 9 o’clock in the morning. I’m going to drive up from Long Island to watch him work and we’re still not sure which race we’re going in. I will stay in touch with Jimmy Bell and John Ferguson who in turn will tell me after Sheikh Mohammed makes the decision. Of course, and you obviously anticipated my next question there, but can you just share a little bit more of your own personal thoughts on where he might belong? Myself, I worry about the two-turn mile. If it was one turn it would be different but two turns is just a quick run into the first turn. It can be a little bit of a traffic jam getting into the first turn and often the speed is very important. He has plenty of speed but going a mile I’m not sure. It’s hard to say but obviously the Classic is a great race with California Chrome and Arrogate and others, Effinex and whoever else might show up. Tough race but the race shape might be better for Frosted. There’s certainly no hurry to decide here. What is the—would it be Pre-entry Day that you would have to come up with a decision or wait for the Entry Day the following week. No, I think we will know before the Pre-entry. I’m pretty sure we will know which way we’re going. Very good. Kiaran, I’m going to step aside and we’ll see what our friends in the media have for you. Not just about Frosted but we’ve also got to talk about Mubtaahij, Sentiero Italia, Tamarkuz as well, so let’s check with Michelle and see what else is on the line. Yes, that is accurate. He’s a really neat horse, tries hard, does everything right and he’s a real pleasure to train. We’ve enjoyed training him and we expect him to run a big race Saturday. He’s really doing very well. He’s been knocking on the door the last few races. How’s he going to open it up or is he going to kick it in on Saturday? Well, it’s his third start with Lasix and I think that he’s just doing very well and hopefully the competition, he’s catching up with the competition and can figure out a way to win. Irad knows him well now. This is his third time to ride him this summer and we just hope that the race unfolds well for us and we have the best horse. Talk about the Kelso and how you think that’s going to shape up for you. Well, Tamarkuz ran really well last time being second in the Forego with Mike Smith. He really liked him and we’re happy that we’re going to have Mike Smith back. We are also going to run Ocean Knight in the Kelso. He was on the lead last time in a mile allowance race but he ran a huge race, did a number, doing real well so we think we have a good two horses to run in the race. We’re also running Watershed in the Jockey Gold Cup with Mubtaahij and he’s very well bred. We think he wants to go the mile and a quarter. So we’re double-teaming them in both of those races. Last one from me. Big Money Mike, what’s it like getting a rider like Mike Smith on your horses? It’s great. It’s not easy to get him because he’s in California but he does—he’s so smart and he’s a workout monster. He works out every day so he’s fit as he can be and a very smart horse person on the horse and reads races very well. It’s great to have him on Tamarkuz. Earlier on this call Mark Casse more or less said that it would take an incredible chain of events for California Chrome not to be Horse of the Year, but you have maybe the horse who could set that chain of events into motion. How much does the Horse of the Year Eclipse figure into your plans on where you go on the Breeders’ Cup day. Well, that’s a good question. Again, it’s up to Sheikh Mohammed. He’s really gotten involved with this horse. He loves Frosted so we’ll let him decide. We are doing great. The horse is doing fabulous and we’re ready to go either way. I don’t know how much that comes into play. Obviously California Chrome has had an unbelievable run and he’s done great and we hope, if we take him on, we can turn the tables but it’s not going to be easy. Will we ever see Jess’s Dream under silks again? Inasmuch as Rachel is apparently not going to be bred anymore, he’s the last horse she’ll have on the racetrack and that race at Saratoga was just incredible. Yes, it was incredible and he is in full training right now. He’s due to work soon. We’ve had some rainy weather up here in New York but he’s worked a few times for us this summer. He’s doing really well, looks great. Hopefully a few more works and we’ll get him back to the races. Hi Kiaran. Was wondering if we could get an update on Cavorting. Yes. She’s doing very well. She worked last week. She trains real aggressively so we don’t work her that often. We’ll have two more works before we ship out but she’s doing really well, working 48 last week, and is training aggressively but doing very well. What were your thoughts about the Zenyatta with the match-up there between Stellar Wind and Beholder who Cavorting will have to take on in the Distaff? Along with Songbird and a couple of others. It’s looking like a great race for the Breeders’ Cup Classic and the Distaff, and many other races, but those two are very interesting. I was very impressed with both fillies; Beholder still doing it at her age and just missed and Stellar Wind (inaudible). There’s plenty of good ones out there but we like our chances with Cavorting. She too has been running against some top fillies on the East Coast and doing very well. So, we’ll hope for the best. Cavorting has run one time at Santa Anita. That was in the La Brea and she finished third that day. What can you tell us about that race? Well, it was—she ran well. Not one of her best efforts but we’ve changed jockeys since then and distances and so obviously she’s going two turns and handled that well at Saratoga. The distance has been a plus for us I think because she’s off Bernardini and seven-eighths might have just been a little short for her. But she’s doing great, and she handled the track out there before even though she was third. Hey Kiaran, do you have any idea how long your horses will stay at Greentree before you ship out? That’s a very good question. We’re watching the weather close. It’s supposed to get pretty cold next week but right now tentatively we have them penciled in for October 23 flight straight to Santa Anita, non-stop to California. Hopefully that’s what we will do, but if it gets really cold and the track gets tightened up we might have to call (inaudible) and ship a little bit earlier. Obviously your horses thrive up there, correct? Yes, and it’s nice. We like to train Frosted right-handed so he could come down to Belmont too but we will hope just to make one move straight to California. With all the talk about Mile or Classic, and I know that the bosses have the final say. If you had the final say, where would you go? I just feel like that I would probably go to the Classic because of the race shape, but that’s the only reason. I mean as I get closer, might change my mind so I’m glad the boss is making the decision. If you guys don’t go to the Classic, do you think some people think you’re ducking Chrome? Probably. Probably they might think that, I’m sure. That wouldn’t seem like a—it’s not the craziest thing to think and people would think that probably but I just don’t know. We’ll see. He’s doing great is the main thing. All right, Kiaran. You mentioned very briefly, and I know you’ve talked about this before but I’m not sure how widely known it is but Frosted does like to train right-handed when it’s—or you like to train him right-handed I should say, when it’s possible. Can you just explain for everybody why that’s something you like to do and why that’s a benefit to him and some other horses that you’ve chose to do that with. We like to do it just because usually you’re going left-handed all the time and your injuries or some injuries come left front and right hind because you’re always going left-handed, so we like to change the direction that they’re training in and he just seemed to thrive when we did it. So he will train left-handed very willingly and we’ll do it when we go to California, but it just helps we think with some issues and their mind. He doesn’t have any (inaudible) problems but it just is good for all horses to change directions, we think. You say the mind too. Is there something there where like they understand the difference between then racing and training and when to turn it on and turn it off? Is there something there with that too? Not so much. It’s more about just something different for him and get in a different routine and see things different because we work him right-handed and gallop him right-handed. He doesn’t race right-handed but it’s great for the horses to switch directions, we just feel like though. Sentiero Italia also is training right-handed. Tamarkuz is up there training right-handed. We feel like it’s an advantage. Very good. Well, Kiaran, we really appreciate your time today and best of luck with all these starters this weekend. We can’t wait to hear where Frosted is going to go and we’ll look forward to seeing you in California. Okay. Thank you very much. I appreciate it. You got it. Kiaran McLaughlin, a frequent guest on these calls. We always appreciate his time. Just a terrific weekend of racing coming up. I’ll hope to see a lot of you at Keeneland and if you need anything to help with your coverage, as always, feel free to contact myself or Joan Lawrence. Also a reminder to mark down October 26th. That’s the date of the annual Breeders’ Cup Preview call. That one’s hosted by Jim Gluckson and that’s on a Wednesday, October 26 at 1:00 PM Eastern time.